The European Union has approved €1.8 billion in funds for Ukraine with the first €600 million provided to the struggling economy by the summer, the EU Commission has said. The decision to grant Ukraine a bailout has been signed by the President of the European Parliament Martin Schulz and the Parliamentary State Secretary for the European Affairs of Latvia Zaandam Kalnina-Lukashevich, according to the EU Commission press release, published Wednesday. The move follows the European Parliament's positive vote and Council agreement on the proposal. The EU and Ukraine now have to agree on a Memorandum of Understanding while the Commission hopes to conclude the negotiations in the coming weeks to allow the release of the first tranche of €600 million before the summer. The new bailout package will become the third financial assistance program from the EU to Ukraine since 2010. European Union finance ministers agreed on a €1.8 billon loan to Ukraine in order to stave it off a default earlier in January. The head of the IMF Christine Lagarde then said the fund would provide financial assistance to Ukraine only when the situation in the country is stabilized. In addition to the EU financial aid, the IMF in April approved $17.5 billion in a stabilization program for Kiev. However, the main condition for allocating a loan by the IMF is the country sticking to austerity measures. Kiev also has to reach an agreement with international creditors who are refusing to write off the $10 billion of the country’s total $50 billion debt. Currently, Ukraine is seeking to restructure at least $21.7 billion of its public debt. 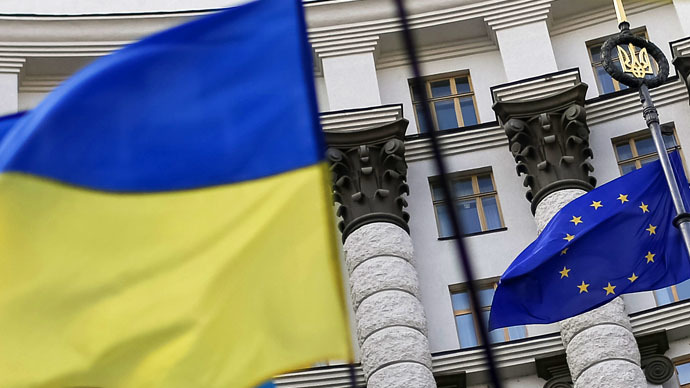 Ukraine's foreign debt amounted to $72.9 billion at the beginning of 2015. The IMF and the Finance Ministry of Ukraine believe that at least $20 billion needs to be written off. The total debt of Ukraine will reach 93 percent of GDP this year, and the country has no cash to pay without getting external credits. The country’s central bank reserves fell dangerously below $5.6 billion on March 5, while the currency, the hryvnia has lost about 70 percent of its value since the start of the Maidan unrest a year ago. The hryvnia was the worst performing currency in 2014.